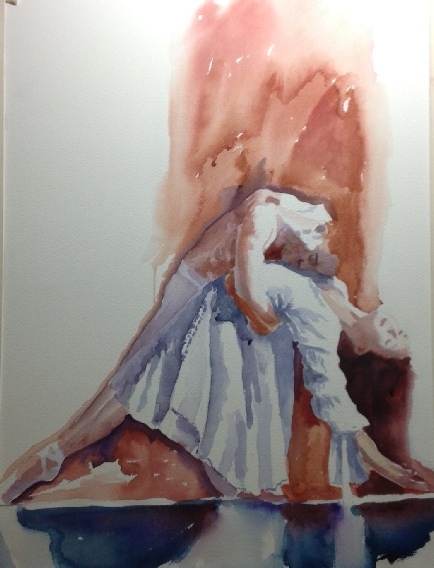 This evening, David Wilcox painted dancers in watercolour. The figures were Romeo & Juliet from the Independent Ballet of Wales. 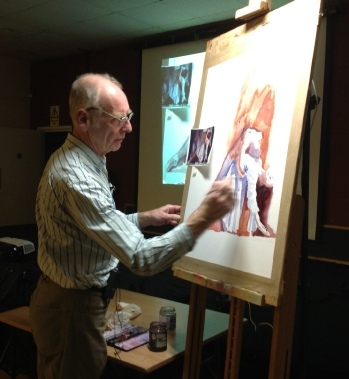 Using a limited palette, David created his picture by painting the background first, then tonal values, before adding the finishing touches.